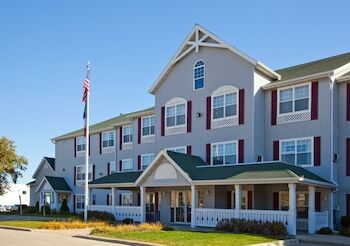 A stay at Country Inn & Suites by Radisson, Cedar Falls, IA places you in the heart of Cedar Falls, steps from Falls Aquatic Center and a 2-minute drive from Gallagher Bluedorn Performing Arts Center. Featured amenities include a 24-hour business center, express check-in, and express check-out. Planning an event in Cedar Falls? This hotel has facilities measuring 600 square feet (56 square meters), including a meeting room. Free self parking is available onsite.